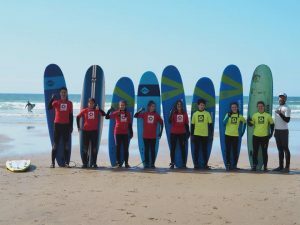 All our surf lessons have been assessed and checked by Surfing England and we are one of their fully accredited surf schools so you can rest assured you are in the best place to learn to surf! aim to get you standing through our tried and tested methods. All equipment – Soft Surfboard and appropriate wetsuit. We run group lessons at 10am and 2pm daily. the next step, whether that’s popping up, turning, paddling out to catching unbroken waves. Group lessons run at 10am and 2pm daily. 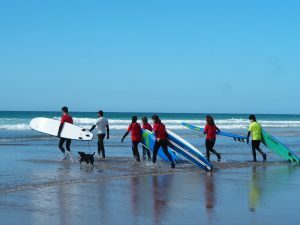 the option to have your own personal surf coach for your group. attention without them getting too tired!